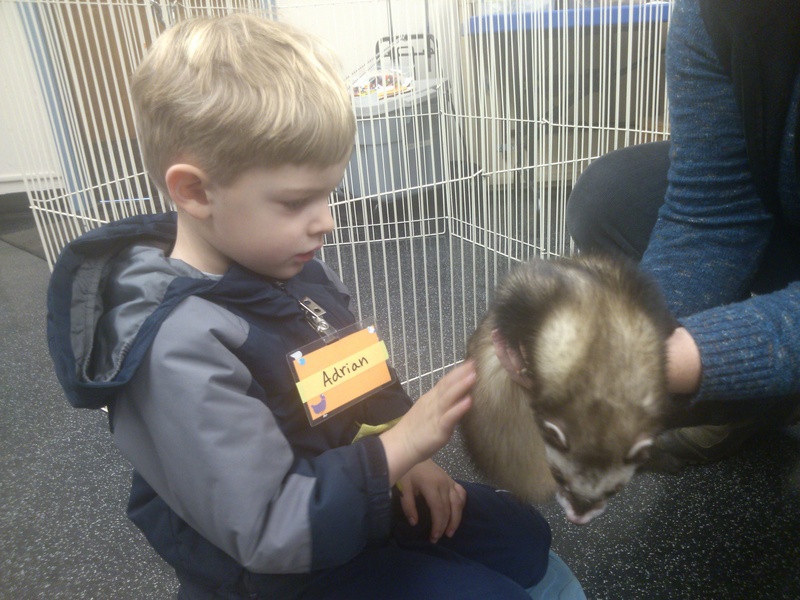 Every Thursday, Adrian attends an early morning science class for preschoolers. The sessions are about four weeks long, and have ranged over volcanoes, kinetic toys, geology, and now zoology. Today, he got to meet Rascal. I think we have to get a ferret now.